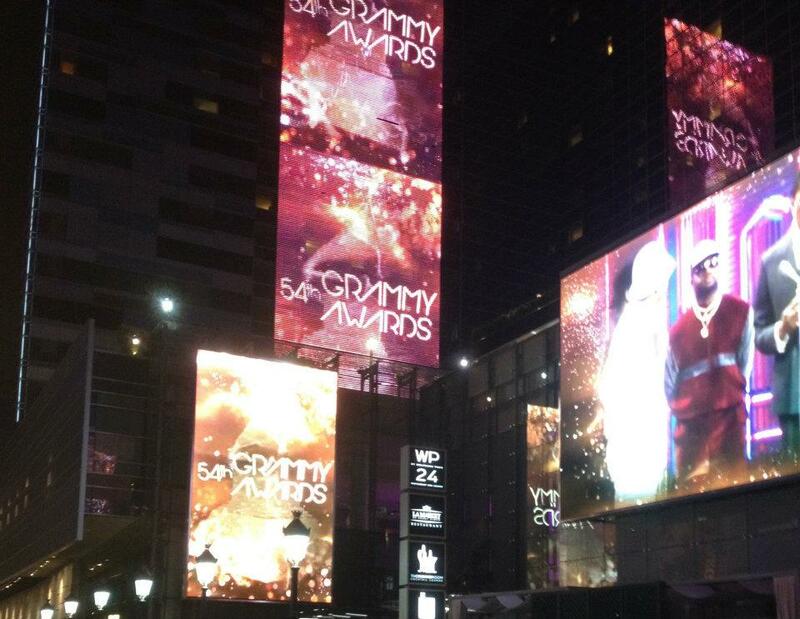 It was the first dance performance at the 54th annual Grammy Awards highlighting dance/electronica music. I was fortunate enough to be a part of it and see all of the superstars up close and personal. With an invitation from my great friend, Cari, we watched the live telecast of the Grammy Awards while prepping to be a part of Chris Brown’s entourage for his performance. We were not only a part of a tent performance with 1,000 fans but we got to experience our own mini concert with Grammy nominees Deadmau5, the Foo Fighters, Chris Brown, David Guetta and Lil Wayne. Too occupied with rushing to get to the event, and overjoyed with our role in the performance, taking pictures of the audience and their street style was overlooked. Not only did she win every category she was nominated for but musical icon, ADELE, looked perfect in a custom Giorgio Armani with Christian Louboutin pumps and a Harry Winston ring. Bombshell, RIHANNA, wore a custom Giorgio Armani gown with a Jimmy Choo clutch and Christian Louboutin heels. KELLY ROWLAND looking glam in an Alberta Ferretti gown with Lorraine Schwartz jewels. JESSIE J wearing a shiny Julien MacDonald gown with a black Lulu Guinness "Lips" clutch. TAYLOR SWIFT looking stunning in a hand-embroidered gown by Zuhair Murad. She completed her look with Neil Lane jewels. 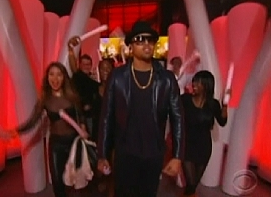 What did you think of the performances at the Grammy Awards?